Egypt has, for long, been one of the most popular holiday destinations in Africa, even more so than South Africa. In fact, the Pyramids and the Sphinx receive thousands of visitors each day. A surprising fact considering that Egypt shares a coastline with the Mediterranean Sea and has some of the best beaches on the planet! That said, you won’t find too many of their beach resorts devoid of people because from every angle, Egypt is a place where people enjoy every single aspect of their culture and all possible forms of entertainment. Egypt’s beaches are known for their diversity, not in terms of the beach itself but in terms of the resorts and what they have to offer. There is something for everyone and no matter how high or low your budget, you can easily find ways to live like a king, or should we say Pharaoh? 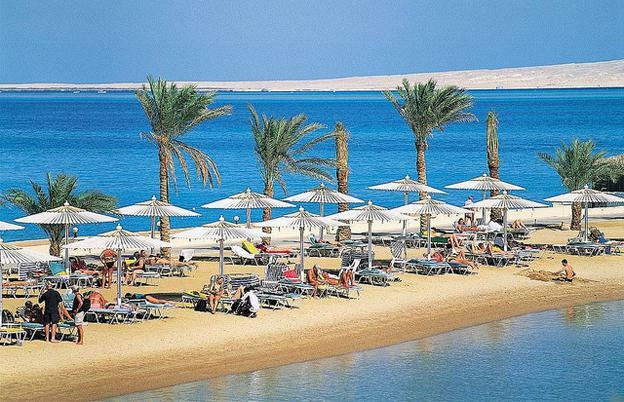 As a resort town, Hurghada has everything from posh five-star properties to simple, but sufficient, camp-sites. Towards the southern parts of this town, you find the Marsa Alam campsites that place you right on the beach. There are plenty of simple camp-style accommodations, which may seem like too little, but when you look at the handful of people who visit its two open beaches, you will find enough privacy and more. As you move east-wards, you find a lot more options with Taba and Sharm el-Sheikh joining the list. They too are camp-like resorts but there are some mighty fine hotels there too, to choose from. If you are looking for a simple and relaxing time on the beach, then these are just where you need to be. There are some entertainment facilities but nothing like what you would find in places like Hurghada. Beaches in Egypt aren’t just about lying about in the sand. Despite what you might have in mind, considering their history and the kind of culture you might see in films, Egypt has everything that other resorts have to offer. You can head down to El-Gouna for some fantastic scuba-diving along the Red Sea. Then there are some brilliant diving spots off the coast of Sharm el-Sheikh. 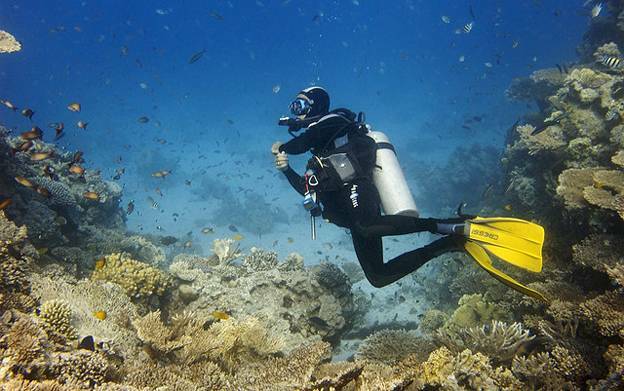 In fact, almost 80% of the scuba diving, in Egypt, happens in places like Sharm el-Sheikh and Hurghada. Then there’s windsurfing and water-skiing that are quite popular amongst tourists as well. This is available in a lot of places especially along the region adjoining the Gulf of Suez. You can even go down and rent a sail-boat or even go parasailing, depending on what kind of activities you are interested in. Today, the number of people visiting Egypt for its beaches is slowly increasing. These warm beaches are inexpensive and fantastic ways to grab a bit of Sun, enjoy the nightlife and even take part in water sports and other beach-like activities – in other words, they are becoming the best location for those looking for cheap Egypt holidays. There are plenty of places for you to get lost on your own, without worrying about intrusions or others walking over your beach towel. Just plant your umbrellas and get ready to enjoy the Sun and sand, Egypt style! The author of “The beaches of Egypt”, when he looks for places to go to, for his vacations, he isn’t looking for something spectacular like Ibiza or Paris; he is on the hunt for a muted celebration of his free time. He values his vacations and uses them to recharge his batteries. For that, he wants to spend as much time away from the crowds as possible. In his search for far-off destinations, he inadvertently finds himself in cheaper places, where accommodation and entertainment costs are low, while the experience is authentic. His tryst with cheap Egypt holidays has made the country a much-loved destination for this investment banker who prefers the sands of Egypt to those crowded beaches of Greece and Spain.